The Cleaning Show is a showcase for all products and services used in the cleaning and support services industry. The British Cleaning Council is the voice of the UK cleaning industry. It was established in 1982 to coordinate the affairs of the industry and to be responsible at home and abroad on industry matters. The British Cleaning Council has 21 members, which cover every facet of the multi-million pound UK cleaning industry. Along with Quartz Publishing & Exhibitions, the British Cleaning Council co-owns the world-renowned Cleaning Show. This is a regular and well-regarded exhibition held at the NEC Birmingham every two years, and is now a highlight of the international cleaning industry calendar. The aim is to provide a showcase that both reflects and caters for the UK industry`s needs, with British Cleaning Council ploughing profits back into the industry, helping us pursue our policy of furthering the educational, training and promotional needs of its member bodies. We are an Executive Non-departmental Public Body responsible to the Secretary of State for Environment, Food and Rural Affairs and a Welsh Government Sponsored Body responsible to the Minister for Environment and Sustainable Development. Although we only work directly in England, we work closely with the devolved administrations in Wales, Scotland and Northern Ireland, and we generally lead on negotiations in the EU and internationally. The Government believes that we need to protect the environment for future generations, make our economy more environmentally sustainable, and improve our quality of life and well-being. We also believe that much more needs to be done to support the farming industry, protect biodiversity and encourage sustainable food production. (a) To promote knowledge of the Water Regulations throughout the UK and to encourage their consistent interpretation and enforcement, for the prevention of waste, undue consumption, misuse, erroneous measurement or contamination of water. (b) To provide an advisory service for and on behalf of Water Suppliers and for any other person or body seeking guidance on the principles of Water Regulations. (c) To consult on behalf of the water supply industry in the UK with Government, with professional, trade and other organisations, with fittings and materials manufacturers and others regarding the Water Regulations and related matters. (d) To develop criteria for testing materials and fittings to assess their compliance with the Regulators’ Specifications for approved products in accordance with the Water Regulations. (e) To assess the results of the testing of materials and fittings to determine their compliance with the Regulators’ Specifications and to publish up-to-date lists of satisfactory materials and fittings in the Scheme’s Water Fittings and Materials Directory. (f) To administer for those Water Suppliers who wish it, a scheme to assess, register and publicise Approved Contractors in accordance with the Water Regulations. (g) To participate in the representation of the UK Water Supply Industry in the development of relevant, practical and appropriate national and international standards for water fittings and plumbing systems. 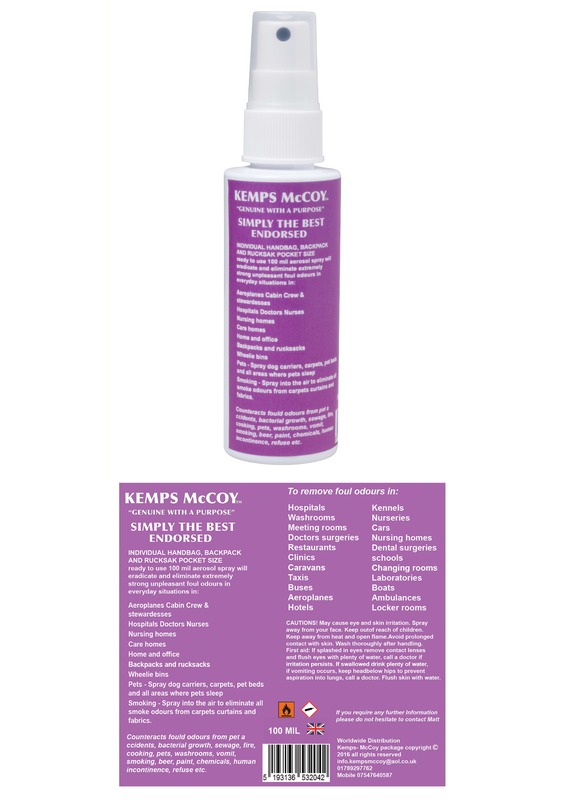 "Kempsmccoy are launching two new products which are possibly the best one could buy!" These products have been trialled and endorsed by The National Association of Wheeled Bin Washers. 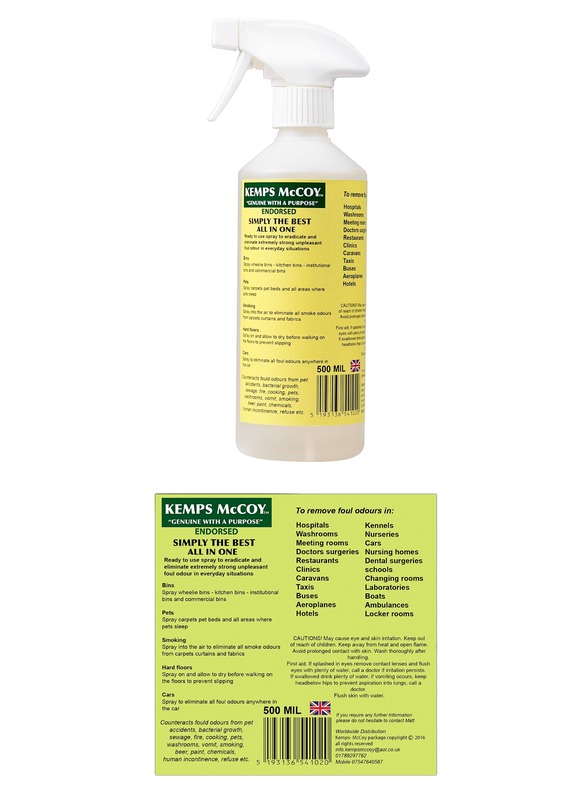 Please do not hesitate to contact kempsmccoy for a quotation based on quantities by calling Doug Dunkley on 07547640587.